Hi ya'll, I got this Melokia soprano pineapple and thought I'd show it to anyone who's thinking of getting one! It's solid Acacia, and if it isn't made by the same people making the KPK ukes, then it is a very good copy! The fit a nd finish is very good, and the only concern I have with it is the name inlay on the headstock. I think they tried to make it look like the MOP had a brown shadow behind it, but not entirely successful. 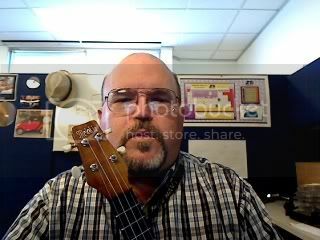 The uke arrived with GHS strings on it, which I quickly swapped for Aquila's vastly improving the sound quality! 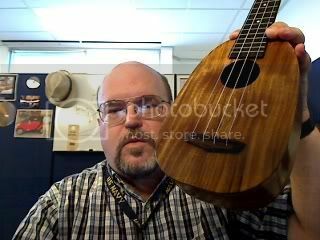 Overall, it is a very nicely made ukulele and well worth the $120 including shipping. I did rub out the finish in the same way I did my KPK (auto paint swirl remover). I think it shows the grain a lot better! It's ouuurs, precious...It's our ukeses and we wants it, we needs it, we MUST haveses it! They might buyses it firsts, our ukeses in filthy, dirrty handses! Anyone know if its the acacia that makes the KPKs prone to cracking, or the brands build methods? 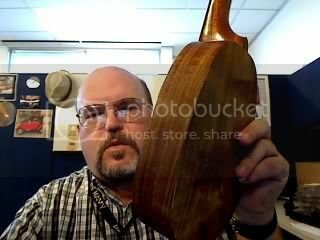 Because I had an Ohai Pono which seperated maybe its acacia wood. I'm in the market for a new pineapple and I was thinking of the Melokias, Acacia and Mahogany, and leaning toward mahogany due to its stability but I'd rather not get on off brand (does it include a warranty?) and have it crack on me, because it seems like a steal. I'll probably just get the Ohana or Bushman..
You know...I had heard of people having problems with KPK. Personally, I haven't seen that problem...but I have to say the Tenor I got was packed with dessicant in the body (that can't be good)! I got those packets out of there pronto and put it in a humidifier closet! Kept it at precisely 45% for a week before I even touched her. I don't know about their build practices...but I hope they don't warehouse them with desecant packs inside! 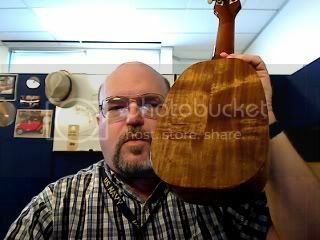 That aside, the sound of both these ukulele's is super smooth...I honestly can't tell the difference between them and Koa, except in the pocket book! Also, check with KPK and I bet any manufacture problems have been fixed...I've not heard of any recent units cracking at all. All times are GMT -10. The time now is 09:53 AM.